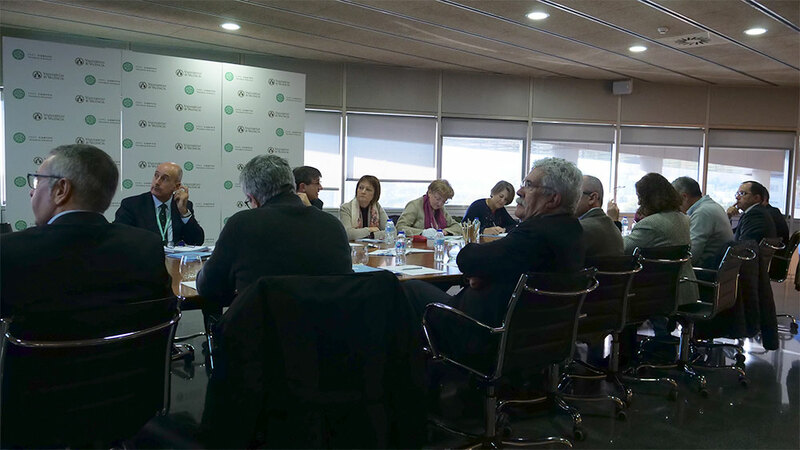 The principal of the University of Valencia, María Vicenta Mestre, has assumed the presidency of the Trust of University of Valencia Science Park Foundation (FPCUV), which met this morning in the Board Room of the PCUV to approve the action plan for 2019. Together with María Vicenta Mestre, the vice-principal of Innovation and Transfer, María Dolores Real, has assumed thevice-presidency, and as vocals have participed the vice-principal of Equality, Diversity and Sustainability, Elena Martínez; the vice-principal for Economy and Infrastructure, Juan Luis Gandía; the vice-principal for Research, Carlos Hermenegildo; the vice-principal for Strategy, Quality and Information Technologies, Joaquín Aldás; the vice-principal of Employment and Training Programs, Adela Valero; the vice-principal for Internationalization and Cooperation, Carles Padilla; and the manager of the University Juan Vicente Climent, acting as secretary of the trust, the general secretary of the academic institution, María Elena Olmos. At today's meeting, the board of trustees has approved the action plan for 2019. Among the activities planned for next year, it is worth mentioning the start-up of a Seedbed of Companies on the Tarongers campus, a space for coworking for innovative companies next to the research institutes of Social Sciences of the University. In addition, the FPCUV will promote its international projection through the signing of collaboration agreements with other countries, where the Valencian entity will provide advisory and training programs for the creation and implementation of innovation ecosystems.